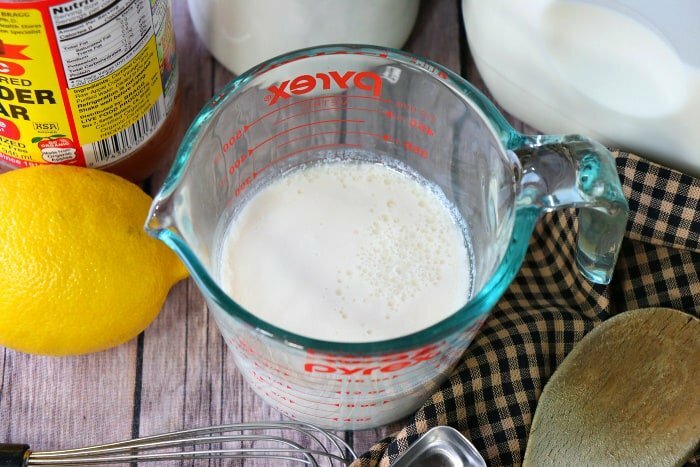 With only two ingredients, that I’ll bet you already have on hand in your pantry and fridge, you can make a homemade buttermilk alternative in the blink of an eye! 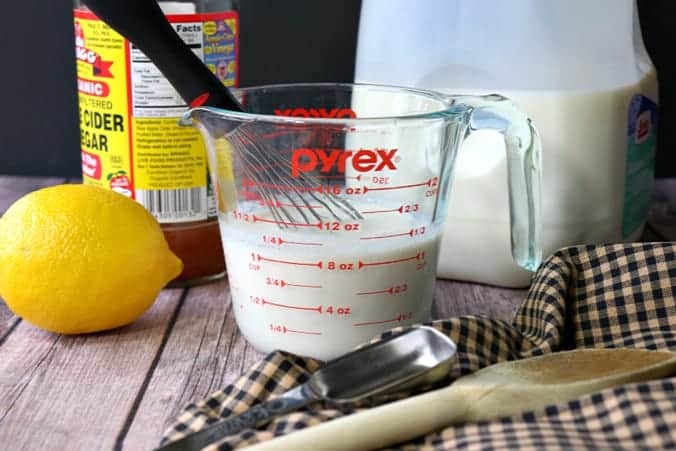 **Please Note – The printable recipe card with detailed instructions, complete ingredient measurements, and nutritional information for making Homemade Buttermilk Alternative is available near the end of this post. 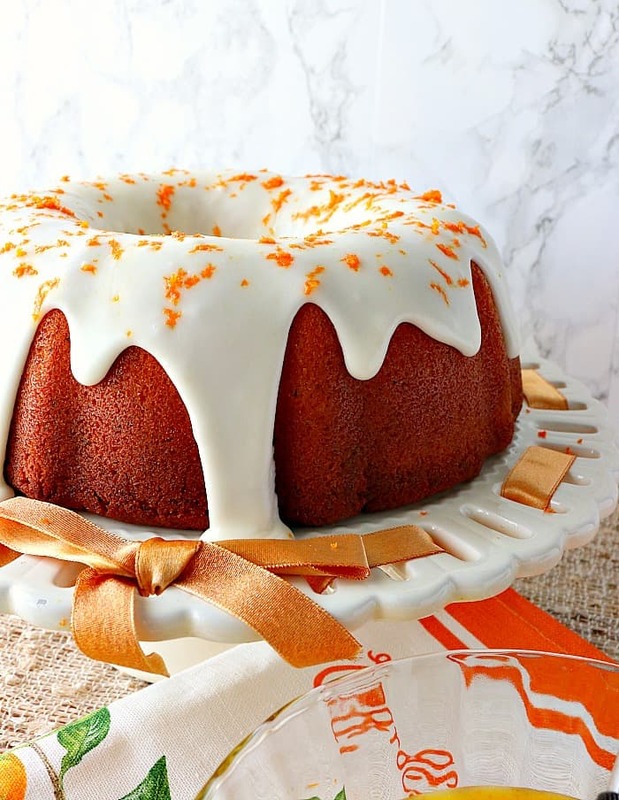 Your recipe calls for buttermilk but you don’t have any on hand, and don’t want to run to the store! Homemade buttermilk alternative to the rescue!! Sure, but if you have raw, organic apple cider vinegar on hand (the one with the mother), then I suggest using it over white vinegar. Raw apple cider vinegar has a multitude of health benefits that white vinegar does not. Helps lower blood sugar levels and fights diabetes. For additional information regarding all the health benefits of raw apple cider vinegar, please click HERE. Can fresh lime juice be used in place of lemon juice? Yes! Lime juice will also work in place of lemon juice or vinegar. The key here is to use something acidic so the milk changes its structure to thicken and curdle slightly and be mildly tangy in flavor. 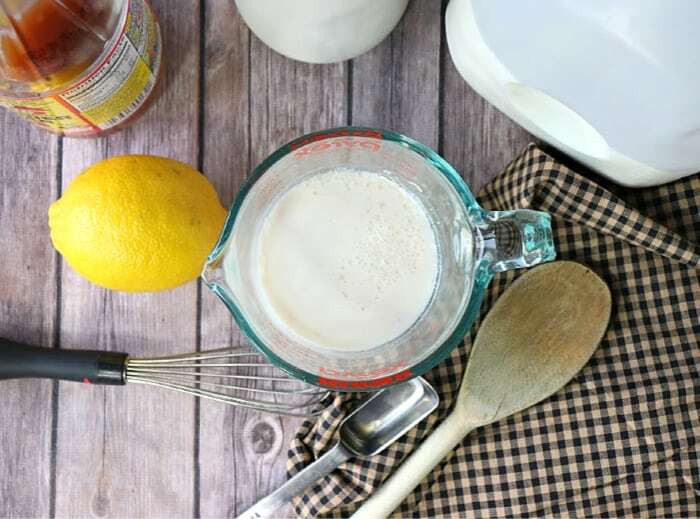 Can buttermilk alternative be made using dairy-free milk? Yes! Go for it. Almond milk or even soy milk will work wonderfully well when using the same process. 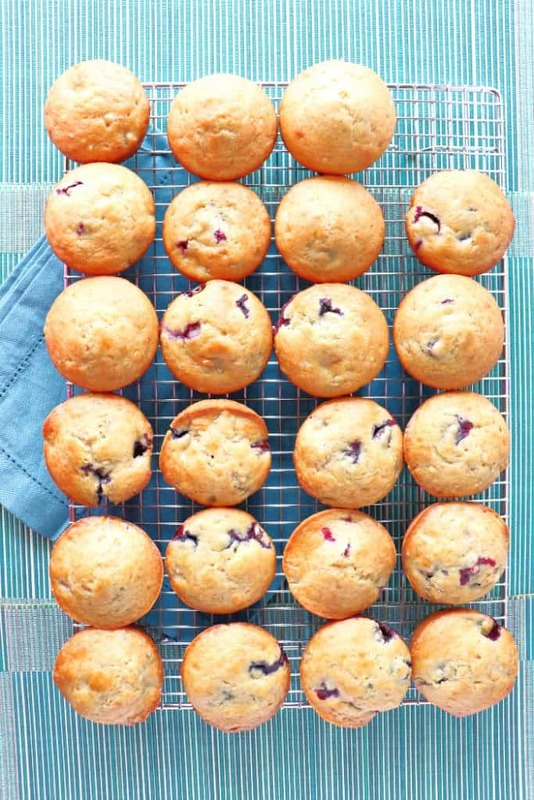 Assemble your equipment and ingredients. In this case, I’m using 2% milk and apple cider vinegar. 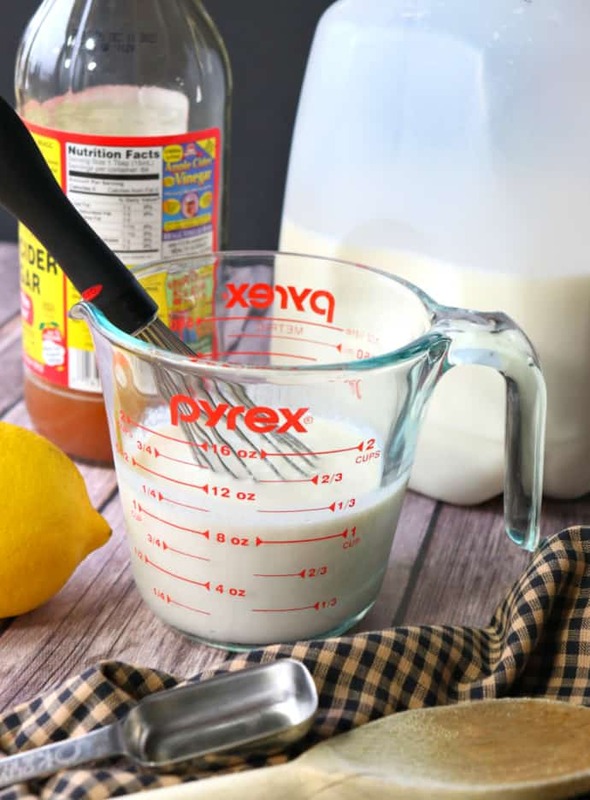 Add 1 cup of milk to a measuring cup along with one tablespoon apple cider vinegar. Whisk or stir to completely combine. Allow the mixture to sit at least 7-10 minutes until it becomes thicker in consistency and slightly curdled. Do not worry, this is what you’re looking for. Use as you would regular buttermilk in any given recipe, sweet or savory. How long will buttermilk alternative keep in the refrigerator? Store this buttermilk replacement, well sealed, in the refrigerator for up to 5 days. 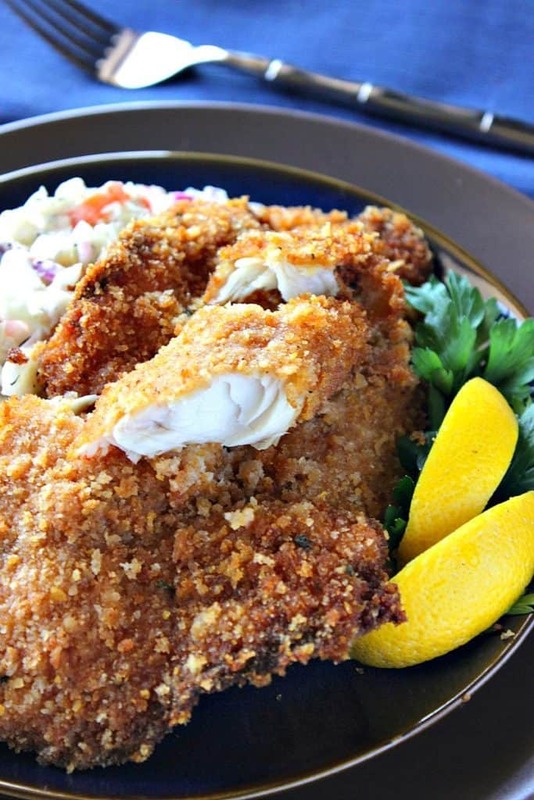 **The following affiliate links are some suggested products I’ve chosen that will aid you in the making and serving of this recipe for Homemade Buttermilk Alternative if desired. Below is the printable recipe card for today’s Homemade Buttermilk Alternative. 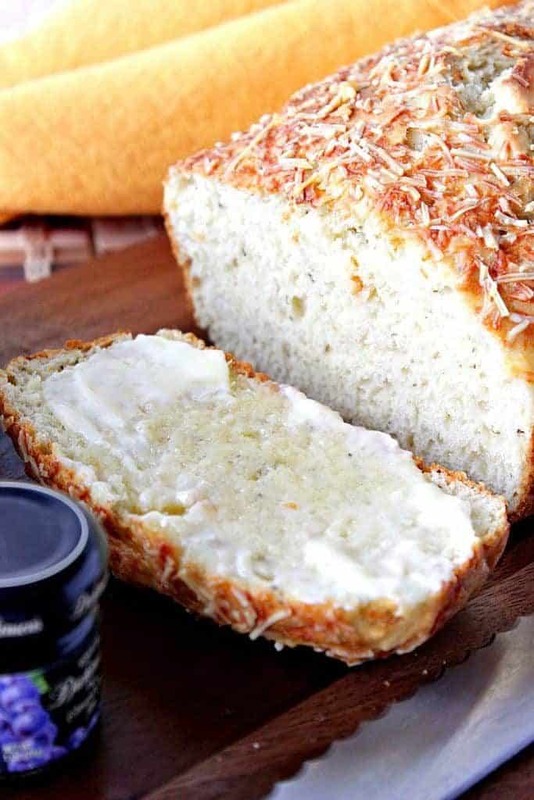 This fast and easy buttermilk alternative will work perfectly for any time a recipe calls for buttermilk. Whisk the ingredients together and allow to sit for 7-10 minutes before using as a buttermilk substitution in all your recipes. Whole milk, reduced fat milk, skim milk, almond milk, soy milk may be used for the milk. Lemon or lime juice, white vinegar, or apple cider vinegar may be used as the acid. 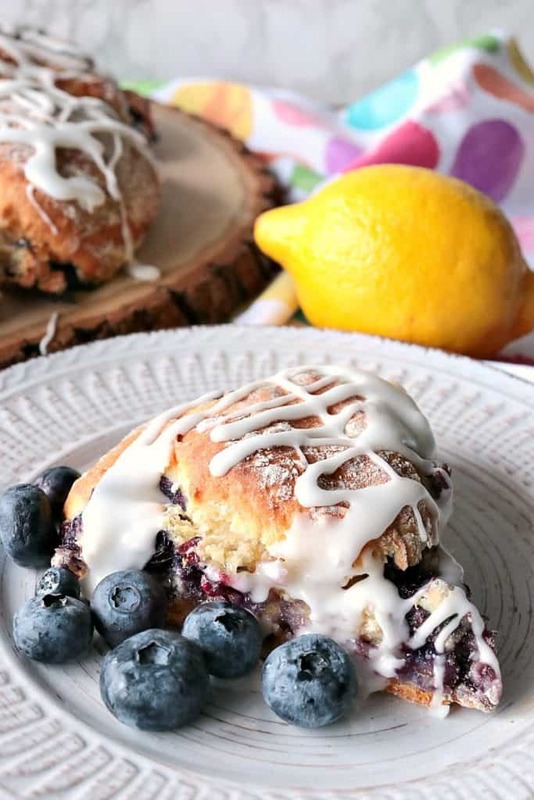 I hope you’ve enjoyed today’s method for making homemade buttermilk alternative, plus all the recipes I’ve included (which are some of my favorites) to scratch your baking and cooking with buttermilk itch. 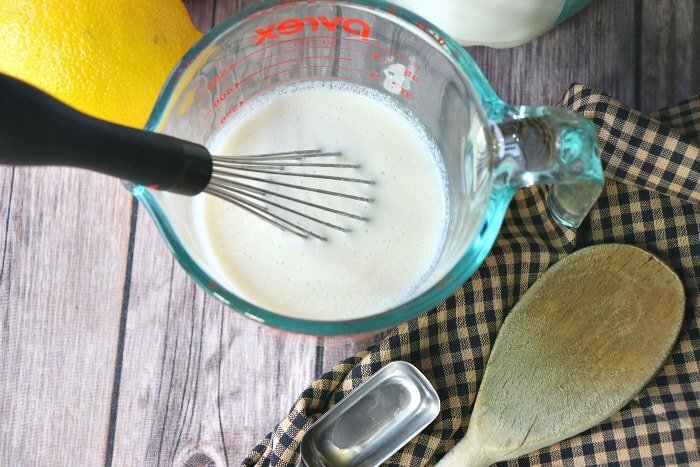 Thick and tangy homemade buttermilk alternative for use in sweet and savory recipes. 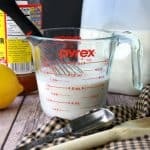 I use this alternative buttermilk recipe ALL THE TIME! I never buy buttermilk anymore. 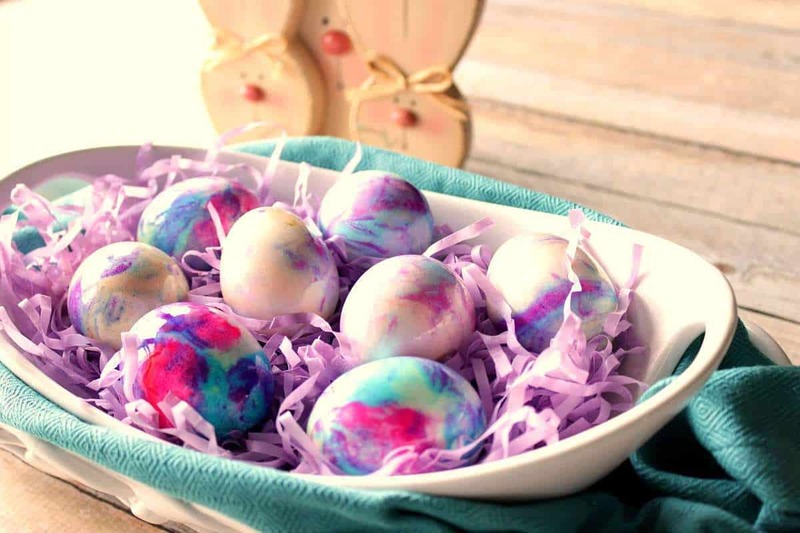 I love a good alternative recipe! So versatile!